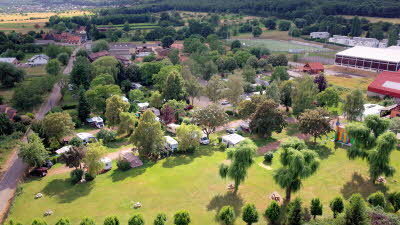 This charming site on the edge of the town of Saverne has a relaxed and quiet feel thanks to its grassy open spaces and mature trees, which shade the large pitches. The site is adjacent to a riding school, with some pitches overlooking the outdoor schooling area. 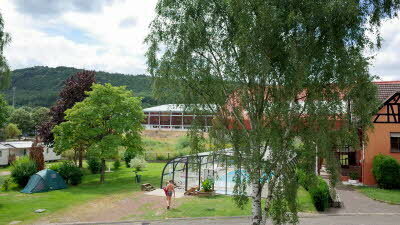 The facilities, although limited, are very clean and include a pool and play area. 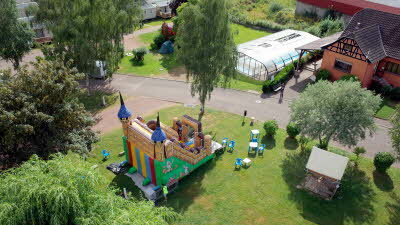 A takeaway van visits three times a week and, in high season, activities are organised for children. Saverne is a lovely town just 25 minutes’ walk away and worth a visit, as is the 18th-century Rohan Castle with its museum and arts centre. Families will enjoy Océanide, the town’s water park, and those looking to venture further afield can reach Strasbourg by train. Château du Haut Barr, Botanical Gardens, Château des Rohan, Strasbourg, Metz, Nancy, Rose Gardens, Rhine Marne Canal, Local market (Thursdays), Cycling, Hiking, Horse riding, Rock climbing, Tennis. When first arrived were allocated a small pitch but staff happy to re-site us on a pitch of our choosing. Most pitches are of a good size and plenty of water points nearby which was handy as it was hot, hot, hot. Site reasonably quiet and peaceful. Nice walk behind site in fields and a 20 minute walk into Saverne - a very pretty town, Took train to Strasbourg, well worth the visit. We've read some moan'y comments on this site, and simply cannot understand why! It is a brilliant typical French Municipal Site, and very well managed by great staff. Whilst it's on the edge of a built-up area, it is really very quiet and peaceful indeed, and Saverne is a place not to disappoint also! 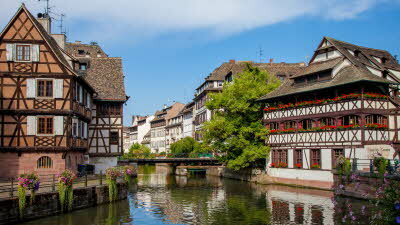 Just returned from a long holiday and Portes d'Alsace was one of the sites we visited. We can't believe some of the less than positive remarks we have seen. We thought this was a charming little site. The staff were friendly - even when disturbed in the middle of cooking lunch - and quite happy for us to change pitches from the one we were allocated. We had plenty of room with a lovely view over to the riding school next door and it was good to be back in France and able to pitch our outfit as we wanted rather than the enforced regimentation encountered in Belgium and Germany. 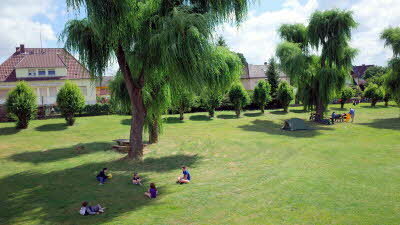 The site is quiet but there's plenty for children, including some organised activities. There is a takeaway van that visits three times a week and bread can be ordered the night before. The sanitary block is clean and the swimming pool, though small, a welcome extra. It is a three star site so don't expect 24 hour entertainment and lots of extra facilities. Best of all, the site is beautifully located. Yes, it's in the middle of a housing estate (though very upmarket!) but it's not more than a 5 minute drive into the lovely little town of Saverne and there are good shops here (Super U and Lidl) as well as a huge Leclerc's in the other direction towards Marmoutier - another little town well worth visiting. In fact, the whole area is delightful and we will definitely come back to this region and stay at this site again. Like other reviewers we had booked this site for a one night stop over because the location was perfect for our journey to Switzerland. We approached the site with some trepidation having read the reviews, but were glad that the site was not that bad. Yes we had a little problem with reception because we parked in the wrong place on arrival but a little bit of "retraining" and better signage would solve that. 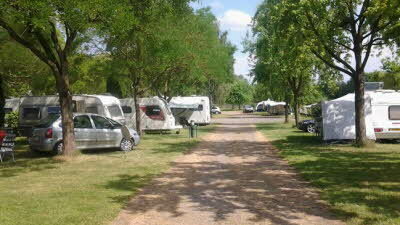 The site is a typical French municipal campsite and the facilities are clean and adequate. We would have been happy to stay more than one night if that was in our plans. The lack of toilet seats is annoying, but not all that rare on some French campsites. Having read many of the reviews we decided only to allocate a one night as a stop over at this site - a big mistake. The area seemed to have lots to offer with gorgeous countryside that we wanted to explore. The town of Saverne appeared delightful and the new SuperU supermarket, only 2 minutes drive away from the site, was really well stocked with a fuel station just up the road. The only down side we could comment upon was the lack of seats on the loos but the toilet block itself was clean with powerful showers. We will definitely be returning to this site with more time to spare.